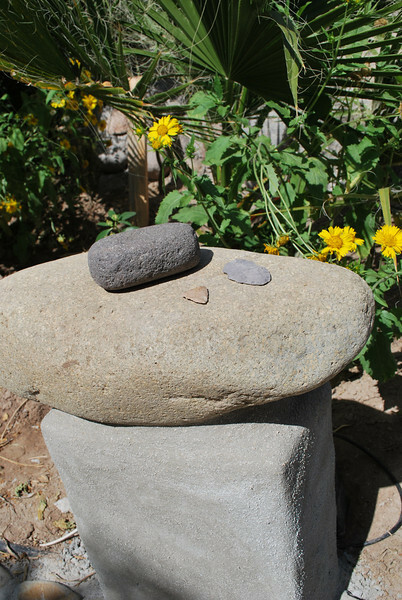 ... a day after putting the rock in place, I noticed it was one of the ancient Indian grinding stones, a metate. I have collected already hundreds of pounds of manos, the stone the Indians ground with, so I put a nice one atop. Just found two more arrowheads today and placed them there as well.